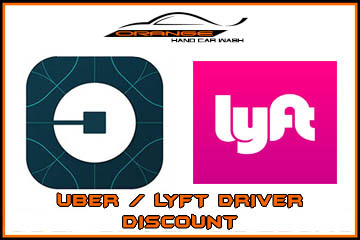 Uber and Lyft drivers in Orange County we know that it's hard to keep your car looking clean. That is why we are offering all Uber and Lyft drivers a special discount. Receive $4.00 off any wash or $10 off any wax or detail (vomit in the back seat:) , Monday-Friday any time!!! Stop by and get your car cleaned before your next pick up.